Difference between revisions of "What were the causes of the Witch Craze in Europe, 1550-1700?" The early modern period in Europe is often characterized as a period of reason when great strides were made in science and culture. However, it was also a period of religious intolerance and mass hysteria and this is exemplified in the witch-craze that occurred in Europe in the period from 1550-1700. At this time thousands of people were prosecuted and executed for the crimes of witchcraft or sorcery all over Europe. The origins of this Witch Craze are various and complex. This article will demonstrate that the origins of the craze were class, gender, social and religious conflicts. The prosecution of witches was related to specific problems in the historical period and that alleged witches were as often as not unfortunate scapegoats or the victims of powerful religious and political processes. There had been a widespread belief in the existence of witches and the power of black magic in much of Europe as the beliefs of the Church had failed to change the folk-beliefs of the country-people, who often remained half-pagan. It seems that countless people practiced folk-medicine that often involved cures and charms. These had long been tolerated by the authorities and were not considered a danger. There was a change in the legal definition of sorcery during the 15th century and sorcery was deemed to be heretical.<ref> Cohn, Norman. Europe's Inner Demons: An Enquiry Inspired by the Great Witch-Hunt. Sussex and London: Sussex University Press and Heinemann Educational Books, 1975), p. 6</ref> The Christian community also at this time began to formulate a definite sense of witchcraft and this involved Black Sabbaths, demonic worships and black magic that harmed people and their property. This led to the folk religion and practices of the uneducated rural population, becoming regarded as sorcery and associated with the Devil. This doctrinal shift meant that the folk religion of the people was criminalized and considered to be demonic<ref> Cohn, p. 14</ref> It should be noted that some of the popular magical practices in rural areas were often malicious and involved cursing victims. This form of malignant magic was used as evidence for the existence of malevolent witches. The Christian community also at this time began to formulate a definite sense of witchcraft, and this involved Black Sabbaths, demonic worships and black magic that harmed people and their property. This led to the folk religion and practices of the uneducated rural population, becoming regarded as sorcery and associated with the Devil. This doctrinal shift meant that the folk religion of the people was criminalized and considered to be demonic<ref> Cohn, p. 14</ref> It should be noted that some of the popular magical practices in rural areas were often malicious and involved cursing victims. This form of malignant magic was used as evidence for the existence of malevolent witches. By the 15th century Europe which had been relatively open and tolerant began to become reactionary. Those who did not follow the prescribed practices and beliefs were marginalized and often terrorized by the elite. By 1500 there was a widespread acceptance that there was a conspiracy of witches who in league with the devil were trying to harm Christians and even overthrow the Christian religion. The Renaissance is often seen as a rational cultural movement but there was a strain of the irrational in it. Many leading Renaissance thinkers believed in magic and occultism and they persuaded many of the elite to take seriously, the idea of magic and sorcery. By the 15th century, Europe which had been relatively open and tolerant began to become reactionary. Those who did not follow the prescribed practices and beliefs were marginalized and often terrorized by the elite. By 1500 there was a widespread acceptance that there was a conspiracy of witches who in league with the devil were trying to harm Christians and even overthrow the Christian religion. The Renaissance is often seen as a rational cultural movement, but there was a strain of the irrational in it. Many leading Renaissance thinkers believed in magic and occultism, and they persuaded many of the elite to take seriously, the idea of magic and sorcery. Once heretical groups, such as the Cathars and Hussites had been crushed and exterminated by the Church, it turned its attention to alleged witches. Beginning from the sixteenth century there was a series of moral panics regarding witchcraft across much of the continent. There was a clear and discernable pattern to these events. There was usually some incident when suspicions often unfounded would be raised about an individual or more usually a groups’ activities. Those who were on the margins of society and women were very vulnerable to the charge of witchcraft. Accusations would be made by members of the public and this resulted in many being charged with the capital offense of witchcraft or sorcery. These were investigated by the secular and the religious authorities and based upon usually unsubstantiated evidence a trial would take place. Before any trial took place, alleged witches were tortured to extract a confession. Once heretical groups, such as the Cathars and Hussites had been crushed and exterminated by the Church, it turned its attention to alleged witches. In the sixteenth century, there was a series of moral panics regarding witchcraft across much of the continent. There was a clear and discernable pattern to these events. There was usually some incident when suspicions often unfounded would be raised about an individual or more usually a groups’ activities. Those who were on the margins of society and women were very vulnerable to the charge of witchcraft. Members of the public would make accusations and this resulted in people being charged with the capital offense of witchcraft or sorcery. The secular and the religious authorities investigated these allegations. Not surprisingly, these charges were based upon usually false evidence. Before any trial took place, alleged witches were tortured to extract a confession. These trials were rarely fair, and those who were accused of witchcraft could expect a death sentence. It is unknown how many people died due to the European witch craze, but it has been estimated that at least 40,000 people were executed. Those who were found guilty of witchcraft were hung, drowned or burned alive. It was considered necessary to kill them in a barbarous way to deter others from following their example. There have been very many attempts to explain the causes of the witchcraft trials and craze. Anthropologists have argued that these witchcraft trials served an important function in early modern society. This era was one that was plagued by a series of disasters. Many societies were unstable, and they were regularly devastated by famine, war and pestilence. This was also a time when the old certainties were challenged. Many agricultural communities were destabilized by the growth of capitalism and the ‘price revolution’ caused by the massive inflows of gold and silver from the Americas led to high inflation.<ref> Thomas, p. 111</ref> To compound the economic problems, beginning from the later sixteenth century Europe experienced climatic changes, a so-called mini-Age age which led to great hardship and poor harvests. It is widely believed that the standard of living in many countries fell and famines became more common. There have been very many attempts to explain the causes of the witchcraft trials and craze. Anthropologists have argued that these witchcraft trials served an important function in early modern society. This era was one that was plagued by a series of disasters. Many societies were unstable, and they were regularly devastated by famine, war, and pestilence. This was also a time when the old certainties were challenged. Many agricultural communities were destabilized by the growth of capitalism and the ‘price revolution’ caused by the massive inflows of gold and silver from the Americas. This influx of precious metals led to high inflation.<ref> Thomas, p. 111</ref> To compound the economic problems, beginning from the later sixteenth century Europe experienced climatic changes, a mini Ice age. The climate change led to hardship and poor harvests. It is widely believed that the standard of living in many countries fell and famines became more common. Some studies have suggested that Germany experienced many outbreaks of witchcraft trials because it suffered greatly from war and famine. There is evidence of a direct link between those societies who were most impacted by war and the number of witches put on trial. This would help to explain that rise in the number of accusations brought against those who were called the ‘consorts of the devil.’ <ref> Thomas, p. 114</ref> However, there were also large-scale witchcraft trials in areas that had escaped the ravages of war. Some have argued that the trials were a form of scapegoating and that it was a deliberate policy by the elite to divert attention away from their, own failings. Given the instability of the times, many have argued that the trials became a form of social control. It was a way for the rich and aristocracy to control the poor who during periods of war and famine could become restive. However, there were also large-scale witchcraft trials in areas that had escaped the ravages of war. Some have argued that the trials were a form of scapegoating and that it was a deliberate policy by the elite to divert attention away from their, own failings. Given the instability of the times, many have argued that the trials became a form of social control. It was a way for the rich and aristocracy to control the poor who during periods of war and famine could become restive. In the middle ages the age at which people married and had children was quite low. This had gradually increased in the decades prior to the 1500. There was less land available because of population pressures and this in turn led to the average age of marriage for women rising to 27. women from poor backgrounds could not afford a dowry and therefore were forced to remain single and live a life of celibacy. This became particularly pronounced in Protestant lands where many former nuns were simply expelled from their convents and left destitute. It is believed that the number of unmarried women in many areas was as high as one in four. They were often seen as a disruptive element in society because women who were not under the control of men were seen as threatening. In the middle ages, the age at which people married and had children was quite low. This had gradually increased in the decades before 1500. There was less land available because of population pressures and this, in turn, led to the average age of marriage for women rising to 27. Women from poor backgrounds could not afford a dowry and therefore were forced to remain single and live a life of celibacy. This became particularly pronounced in Protestant lands where many former nuns were simply expelled from their convents and left destitute. It is believed that the number of unmarried women in many areas was as high as one in four. They were often seen as a disruptive element in society because women who were not under the control of men were seen as threatening. The growth in a literature that purported to describe witches and sorcery tended to present witches as single females. This during the moral panics about sorcery and black magic often led to innocent women on the margins on society to be accused of witchcraft. Many have interpreted the accusations of witchcraft against women as effort to control this group and to maintain the hegemony of males<ref> Cohn, p. 117</ref>. The existing patriarchy according to feminists was threatened by the growth in the number of unmarried women and the witchcraft craze was a systematic attempt to control and intimidate them. The growth in the literature that purported to describe witches and sorcery tended to present witches as single females. This occurred during the moral panics about sorcery, and black magic often led to innocent women on the margins on society to be accused of witchcraft. Many have interpreted the accusations of witchcraft against women as an effort to control this group and to maintain the hegemony of males<ref> Cohn, p. 117</ref>. The existing patriarchy according to feminists was threatened by the growth in the number of unmarried women and the witchcraft craze was a systematic attempt to control and intimidate them. The defining feature of the period was the rivalry between the Catholics and the Protestants and religious wars ravaged the continent. 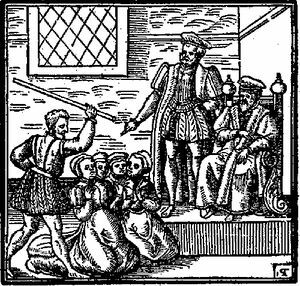 An eminent English historian claimed that the witch trials were used by both denominations to persecute their rivals in each territory. In this way, they were able to strengthen their hold over a given community.<ref>Trevor-Roper, Hugh. The European Witch-Craze of the Sixteenth and Seventeenth Centuries and Other Essays (New York: Harper & Row, 1969), p. 116</ref> There is some evidence that some groups sought to depict their rivals as witches to discredit them. In the aftermath of the Reformation, there was intense competition between the Catholic Church and the Protestants denominations. They sought to ensure that there was great religious uniformity among the general population. For the first time, the ecclesiastical elite was concerned with the faith and the observance of the general population. The clergy had instructions to make their congregations comply with the doctrines of the Churches. This occurred in both Catholic and Protestant territories and was designed to instill in them loyalty to a particular religious grouping. The Witchcraft Craze in Europe lasted from 1500-1700. The period because of religious changes became more interested in the devil and heresy. This led the elite in the Church to construct an idea of witches who were the servants of the devil and who plotted to kill and harm Christians. By 1500 sorcery was deemed to be heresy and the Church had become much more concerned about any deviant practices. Increasingly the customs and the practices of the semi-pagan rural dwellers was interpreted as witchcraft. This meant that they were extremely vulnerable to accusations of sorcery. The factors that promoted the Witch Craze included the growing Catholic and Protestant rivalry and the need to ensure the religious conformity of the population. Then there were the very real social tensions because of the endemic warfare, inflation, economic changes and social change. This created a situation where there was a need to control the population and witches were used to vent popular discontent and to serve as a warning to the poor not to become rebellious. Women were the chief victims of the Witchcraft Craze and this was due to social change where single women increased in numbers and this led to tensions and these were released in widespread charge of witchcraft against unmarried females. There was no one single reason for the hysteria that cost so many their lives rather it was often the interplay of the all the above factors. The factors that promoted the Witch Craze included the growing Catholic and Protestant rivalry and the need to ensure the religious conformity of the population. Then there were the genuine social tensions because of the endemic warfare, inflation, economic changes, and social change. This created a situation where there was a need to control the population and witches were used to vent popular discontent and to serve as a warning to the poor not to become rebellious. Women were the chief victims of the Witchcraft Craze, and this was due to social change where single women increased in numbers, and this led to tensions, and these were released in widespread charge of witchcraft against unmarried females. There was no one reason for the hysteria that cost so many their lives. Rather it was often the interplay of the all the above factors. The witch-trials emerged in the 16th century, out of an effort to persecute heretics who were deemed to be a threat to Christendom. This fear was eventually projected onto those regarded as witches. 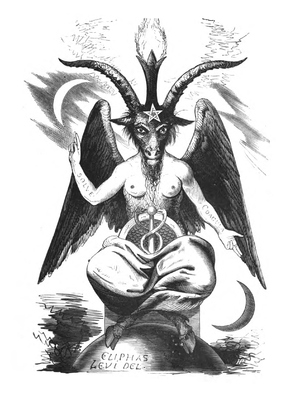 It was widely believed that there were groups of people who served the devil and were engaged in black magic. Before the late fifteenth century there had been no real interest in witchcraft but after the publication of Malleus Malefic arum, the 1485 treatise by Henricus Institoris there was a growth of interest in the area. There had been a widespread belief in the existence of witches and the power of black magic in much of Europe as the beliefs of the Church had failed to change the folk-beliefs of the country-people, who often remained half-pagan. It seems that countless people practiced folk-medicine that often involved cures and charms. These had long been tolerated by the authorities and were not considered a danger. There was a change in the legal definition of sorcery during the 15th century, and sorcery was deemed to be heretical. The Christian community also at this time began to formulate a definite sense of witchcraft, and this involved Black Sabbaths, demonic worships and black magic that harmed people and their property. This led to the folk religion and practices of the uneducated rural population, becoming regarded as sorcery and associated with the Devil. This doctrinal shift meant that the folk religion of the people was criminalized and considered to be demonic It should be noted that some of the popular magical practices in rural areas were often malicious and involved cursing victims. This form of malignant magic was used as evidence for the existence of malevolent witches. The witch craze occurred in both Catholic and Protestant countries, and it was a truly Pan-European event. There were mass executions of ‘witches’ in France, Germany, Spain, England, and Italy. Some academics believe that the witchcraft craze was in two waves the first wave was concerned with the suppression of heresy, but ultimately the craze became an effort to silence political opponents and dissidents. By 1650 the elite was no longer as credulous about witchcraft as before, and this led to a reduction in the number of witch trials by the eighteenth century. Many agricultural communities were destabilized by the growth of capitalism and the ‘price revolution’ caused by the massive inflows of gold and silver from the Americas. This influx of precious metals led to high inflation. To compound the economic problems, beginning from the later sixteenth century Europe experienced climatic changes, a mini Ice age. 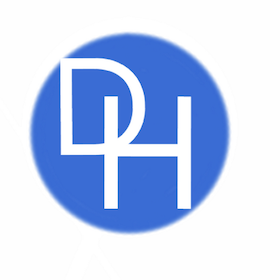 The climate change led to hardship and poor harvests. It is widely believed that the standard of living in many countries fell and famines became more common. The growth in the literature that purported to describe witches and sorcery tended to present witches as single females. This occurred during the moral panics about sorcery, and black magic often led to innocent women on the margins on society to be accused of witchcraft. Many have interpreted the accusations of witchcraft against women as an effort to control this group and to maintain the hegemony of males. The existing patriarchy according to feminists was threatened by the growth in the number of unmarried women and the witchcraft craze was a systematic attempt to control and intimidate them. The defining feature of the period was the rivalry between the Catholics and the Protestants and religious wars ravaged the continent. An eminent English historian claimed that the witch trials were used by both denominations to persecute their rivals in each territory. In this way, they were able to strengthen their hold over a given community. 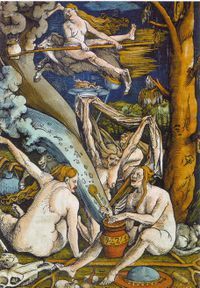 There is some evidence that some groups sought to depict their rivals as witches to discredit them. One of the side-effects of this process was that anything that deviated from doctrine was deemed heretical. Many faith healers and those who practiced ‘white magic’ for fertility and good luck became suspect. They were regularly placed on trial by authorities who interpreted their beliefs and customs as sorcery and diabolical.